We provides sales and service support of Programmable Logic Controller used for automation of electromechanical processes, such as control of machinery on factory assembly lines, amusement rides, or light fixtures. These are provided in different specification to meet the diverse requirement of client. 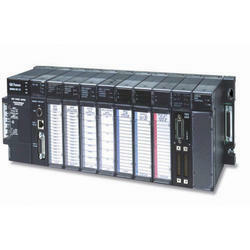 We are the provider for Programmable Logic Control System with built in HMI, all PLC, software and programming cables. Products equipped with incredible features like Ethernet, mod-bus, canbus, OPC and also support server so one can control & see the PLC from anywhere direct from the web browser. This type of MMI is USED in Plastic Injection Molding Machines, Blow Molding Machines etc. Owing to our in-depth industry experience and precise knowledge in this domain, we are trading an outstanding assortment of Programmable Logic Controller. 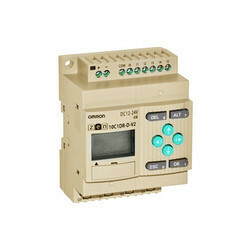 We are engaged in offering premium quality Programmable Logic Controllers . These are tested at vendor’s premises before procuring and then retested at our quality testing lab to ensure that the clients have no problems in using them. A 24 volts DC Positive/Negative Logic Input Module 32 Points. ... The IC693MDL655 is a 24 volt DC Positive/Negative Logic Input module for the GE Fanuc Series 90-30. ... The inputs are arranged in 4 isolated groups of 8 and each group has its own common..
We have modular PLC for various applications. Our control system PLC is preferred by the OEM clients who supply the instruments and control systems in turn to end-user along with their own equipment. We are offering Programmable Logic Controllers for our valuable clients. Our range of PLC are made of superior grade raw materials, which ensures the durability and efficient performance of our range.